Home / Editor's Choice, Entertainment News, Forum and discussion, Gossip and Drama, Videos / Boychild under siege! 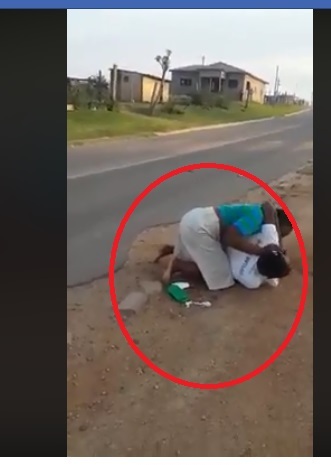 Wife beats husband like a burukenge in broad-daylight as onlookers watch(VIDEO). Boychild under siege! Wife beats husband like a burukenge in broad-daylight as onlookers watch(VIDEO). Thursday, April 4, 2019-The boychild is under siege and no one is willing to speak for the male fraternity. Many men are suffering in silence in the hands of their abusive wives. They are afraid to speak or seek for help in public for fear of ridicule. We came across this video of a husband beating up his wife like a burukenge as the public watched. The man cried like a toddler as his wife worked on him seriously.